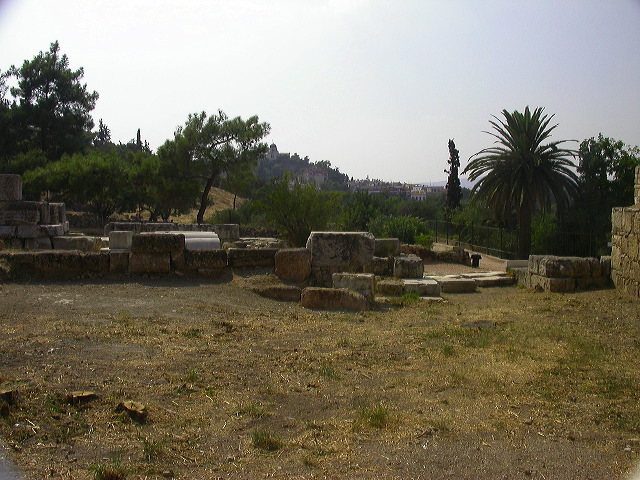 Lower Terrace (northern section of the City Eleusinion complex). This northern area may have been a storage complex consisting of four rooms opening onto a courtyard to the east (foreground). The complex was built sometime in the Roman era, but was cleaned out an reused in the early Byzantine period. In the small courtyard, archaeologists discovered the foundations forseveral monuments or altars, suggesting that this complex had some religious significance. It is not uncommon for sanctuaries to have storage facilities. 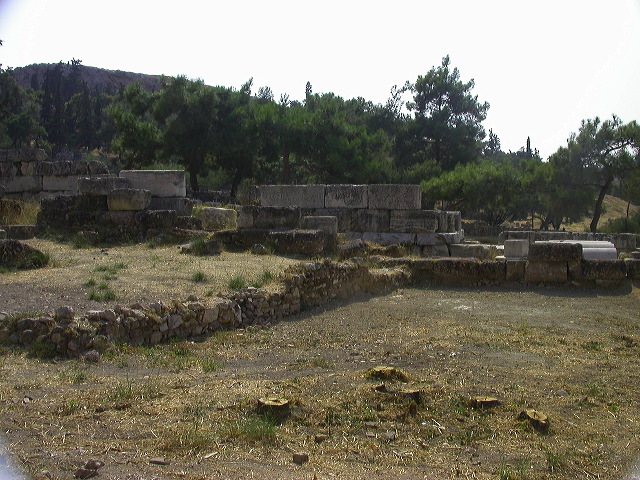 In fact, storage magazines (granaries) have also been found at Eleusis. For this reason, the Roman storage complex in the Lower Terrace should be considered part of the City Eleusinion. (See Agora 31, pp. 87-88). View from the northeast. This photo is 2 of 3 in a panorama moving from south to north (left to right). August 8, 2003.